It's that time of year again... ice fishing season! For some that means it's time to break out the winter gear, fishing poles, and hit the ice. For others, it means their house gets a lot quieter while their other half is out in the cold weather, ice fishing! If you are looking to drop a line this winter, we have some of the best ice fishing destinations for your next trip! Located just north of Toronto, Lake Simcoe offers a perfect location for city residents to escape to the outdoors, and travelers an easy trip from a major airport. Lake Simcoe is very well known for its popularity with ice fishers, making it the number one lake to ice fish in the country. It has few commercial properties, which also makes it perfect for those who want to be completely secluded in nature. 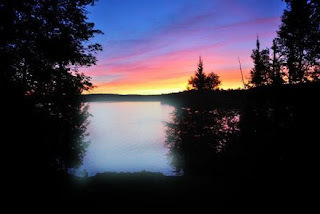 A variety of fish can be caught here, so get ready to have a great fish fry. Bonus: There are several other small lakes, with great ice fishing as well, all within a short drive! Finland has an abundance of nature and has so many recreational activities for the outdoors man or woman. This part of Finland has some of the best fishing and ice fishing in the area and has even created it's own competitive sport, ice fishing golf. Think a little golf, a little ice fishing, and lots of fun! This Finnish innovation draws many people from all around and is surely something you should participate in while in Finland! Expect to catch species like pike, perch, trout, zander, and landlocked salmon. Surrounded by mountains, Leavenworth is a gorgeous place to visit with breathtaking scenery. Imagine hitting the ice with the mountains surrounding you as you catch your lunch for the day (or several days even!). 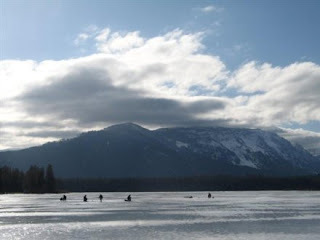 Fish Lake is one of Washington's only accessible ice fishing location, which makes it a popular spot to come to. Expect to catch trout, perch, or silvers, while being immersed in the beauty of Washington. There are also thousands of miles of snowmobile trails, cross country skiing, and ski resorts are all nearby. You will not be disappointed here! Don't see a destination that works for you? 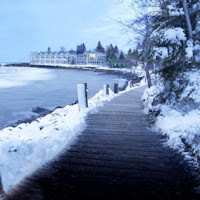 Also try some of these great ice fishing destinations: Tofte, Minnesota, Island Park, Utah, Harbor City, Michigan, Lake Tahoe, California, and many more! Not sure where to plan your next ice fishing vacation? Contact our Travel Specialist! We love to help our customers find the perfect place for vacation! Starting a fresh, new year, we hope 2016 is your best year yet. If you resolved to travel more, we have some new destinations for your 2016 adventures! Let this be the year of travel; go explore the world! There is a reason St. Barts is a highly sought after vacation destination, even though many people have never even heard of it! Saline Beach on St. Barts was ranked #5 out of 100 best beaches in the entire world. Now that is something to brag about! Not only is St. Barts absolutely beautiful, it has fantastic year round weather seeing very little rain (also known as arid). This attracts people from all over who want to vacation at different times throughout the year. You will see a mix of wildlife making the island home, as well as repeat guests at oceanfront homes, and many luxury yachts. It is known as more of an upscale island, where celebrity sightings are not uncommon, but you can find easily find a budget friendly place to stay. Marvel at the sensationsational view from this charming hillside villa! 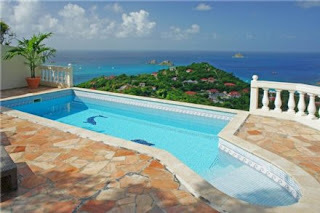 If the ocean and island views from this villa aren't enough to persuade you, how about your own private pool with the same view? This place is absolutely gorgeous! Bonus: you can walk to the bakery for your morning pastry and evening dinner baguette. It doesn't get any better than sipping on wine from one of the best regions in the world! Sonoma Valley is great for wine lovers who want to learn about the vineyards, see where the grapes are grown, and take in the gorgeous scenery of the rolling hills. A multitude of activities in the area allow those who don't want to spend the entire time sampling wine. Try hiking through the redwood forests at the Natural Redwood Reserve, kayak through the many rivers, head to the coast beaches just 20-30 minutes away. Tip: This area has many festivals throughout the year, so check the local event schedule before your trip! 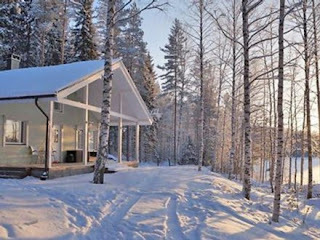 If you are looking for a little R&R and want some seclusion, try staying out of town in the beautiful forest! 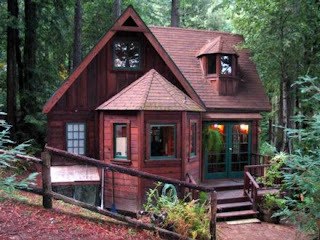 This cute cottage in Cazadero is perfect for your vacation in the Sonoma Valley! Sip some wine on the porch, or relax in the hot tub as you immerse yourself in nature. It's just the break you need to replenish and rejuvenate after the holidays. If you are looking to reconnect with yourself, and have a tranquil vacation, Bali is the place. Many travelers come to Bali to seek a place of deep meditation, balancing and harmonizing the body. The result is a feeling of tranquility and returning home rested and restored. If mediation and yoga is not your thing, don't worry, you won't be forced to worship Buddha or meditate. There are many other reasons to come to Bali, such as the gorgeous landscape, some of the best diving and snorkeling in the Caribbean, and its large art scene. This villa along the water is the perfect place for those looking for a blissful escape. The outdoor areas are sure to please as well as the traditional Balinese architecture of the home. This is a great place for a relaxing vacation with your loved ones. 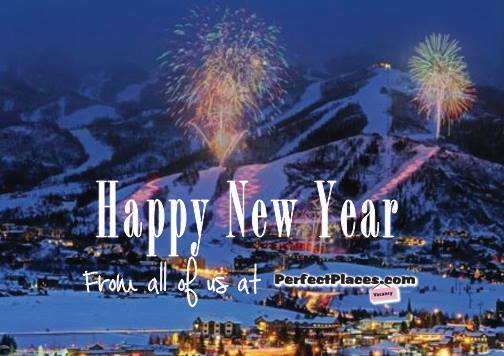 If you resolved to travel more this year, we hope you have safe and happy travels! Try and pick one place you have never been before and go explore the world! Not sure where you want to go this year? Contact our Travel Specialist! We love to help our customers find the perfect place for their vacation!